Create a striking entryway or simply frame a view with this magnificent piece. 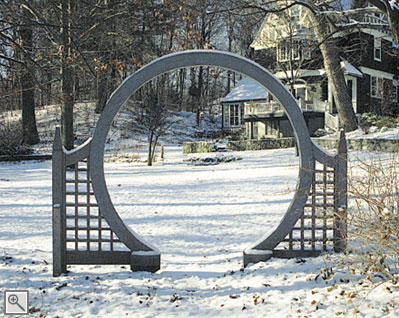 Perfect for delineating distinctive areas of the yard or garden, our versatile Moon Arch is one of a kind. 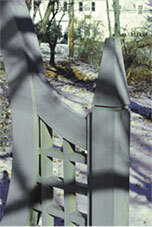 The arch is a substantial double-laminated construction of 5" x 3¼" clear, vertical grain, cedar. The lattice consists of 4" x 4" openings and is constructed of 1¼" x 1¼" cedar.